According to Syrian Army reports, militants in Eastern Ghouta planned a chemical attack provocation to put blame on Damascus. 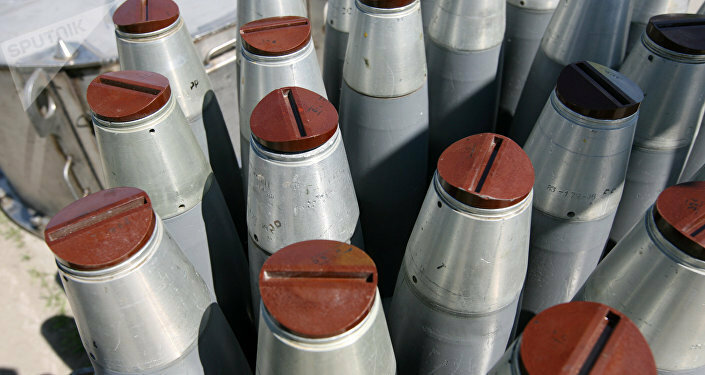 "Presumably, the equipment of these munitions could be produced as part of a false flag accusation that government troops used chemical weapons," he said. Recently, the Syrian Foreign Ministry said that militants in Eastern Ghouta may stage a chemical attack in order to blame the Syrian government for it. Syrian Deputy-Foreign Minister Faisal Mekdad stressed that Damascus was ready to assist any investigation of chemical attacks in Syria but the international organizations declined to cooperate with the Syrian government. Last week, the Russian Center for Syrian Reconciliation informed that terrorists were planning provocations involving chemical weapons in Eastern Ghouta. In its turn, the Organization for the Prohibition of Chemical Weapons (OPCW) confirmed that Syria's efforts to destroy its chemical weapons stockpile had been completed. Syrian authorities have been constantly accused of using chemical weapons since the beginning of the conflict in 2011. On February 26, the infamous White Helmets, which have constantly falsified facts and information, claimed that the Syrian Government had deployed chlorine gas against the town of Al-Shifoniya in Eastern Ghouta, Anadolu Agency reported. When asked to comment on the information, US Department of Defense spokesperson Dana White stated that the US "had not seen any evidence yet" of the use of chemical weapons by Damascus in Eastern Ghouta. Most recently, Pentagon chief Jim Mattis warned Damascus against using chemical weapons, although he said that there was no evidence of the use of chlorine gas so far. Syrian President Bashar Assad said that the Western countries are accusing the Syrian government of deploying chemical weapons as a pretext for airstrikes on government forces. The UN Security Council has adopted resolution 2401, urging all parties to the Syrian conflict to immediately stop all clashes and observe a humanitarian ceasefire affecting the territory of the country. Eastern Ghouta was occupied by terrorists in 2012. According to Syrian Army reports, there could be 10,000-12,000 militants in the area. Despite the UN resolution, the fighting has not ended, even after the humanitarian pause was introduced.